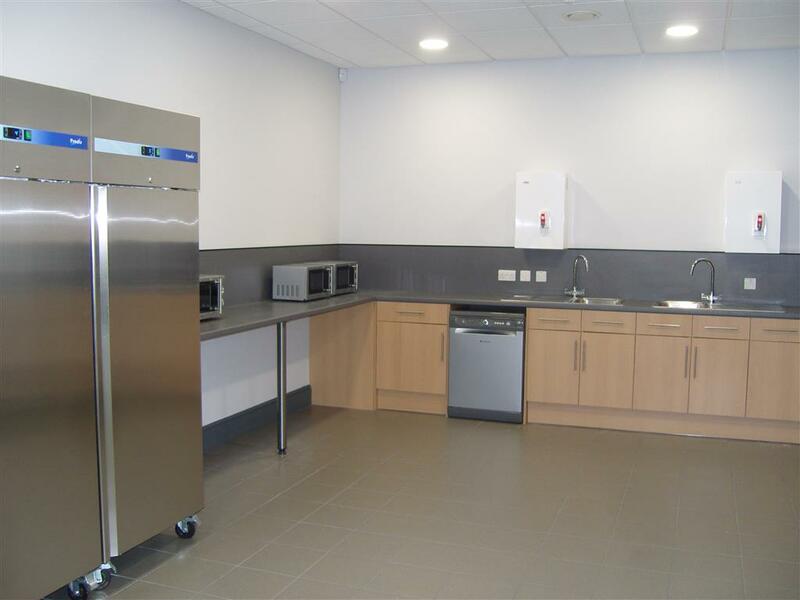 Storage Concepts have recently completed a total re-fit of a vacant building which involved the installation of a mezzanine floor, with an auditorium and meeting rooms at first floor level and a works canteen below. The client wanted to retain an industrial feel, with exposed roof structure and duct-work. This was carried out as a turn-key project with Storage Concepts as the main contractor and designer and involved the mezzanine floor, building works, feature staircases, partitions, MF ceiling/fire protection, suspended ceilings, floor coverings, electrical works, air conditioning, replacement windows, plumbing / new kitchens and WC blocks.